One of Margie Longoria’s favorite authors growing up was Judy Blume. When Longoria — at the age of 35 — finally got the chance to meet Blume, she started crying. Years later, Longoria still gets emotional when she speaks of the encounter. One of the reasons Longoria, who is a librarian at Mission High School, started the Border Book Bash was to give local young readers an opportunity to meet authors they admire. The third annual book festival takes place from 9 a.m. to 3 p.m. Saturday at Raul Yzaguirre Middle School in San Juan. Admission is free. Many local students don’t have the opportunity to travel to bigger book festivals in such places as Austin, limiting their chances to interact with writers. Longoria said growing up in the Rio Grande Valley she never imagined she would be able to meet authors such as Blume. “I try to bring some of the authors that they have at (the Texas Teen Book Festival) so that our kids here are able to say they met their favorite writer,” Longoria said. She also books authors of color in order to show the local youth that minorities are successful writers. One of the authors visiting Saturday is Miracle Austin, who is known for her horror and suspense young adult novels. Her works include the paranormal “Doll” series. Austin says she stresses the importance of reading, especially if you’re an inspiring writer. Similar to Blume, Austin said she gets joy knowing that some of the book lovers she meets at festivals read her works, and she is always ready to dish out advice to young readers and writers. This year’s festival will include a poetry slam led by McAllen Poet Laureate Edward Vidaurre and a costume/cosplay contest. Attendees are encouraged to dress up as their favorite book character. 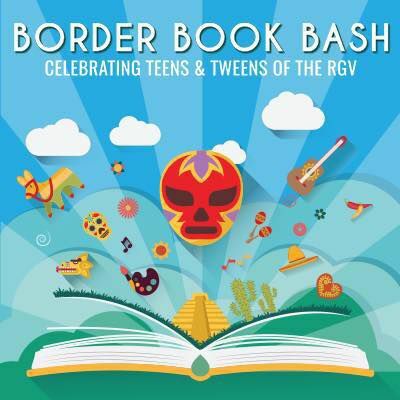 For more information, visit the Border Book Bash Facebook page.